News of another new central agency addition to the Fraser Yachts fleet arrives as Brian Holland in Seattle signs the 26.21m _Three Winches _for sale. Three Winches was custom built by the Skallerud yard in 1979 and last refitted in 2009. The refit saw this superyacht gain a new Sylvia Bolton interior accommodating eight guests in a master, double and twin cabin plus two Pullman berths. 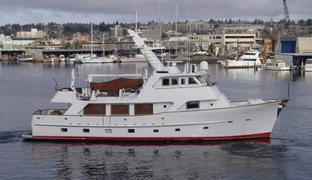 Currently lying in Seattle for viewing, she cruises at 10 knots and has a range of 3,000 nautical miles. Three Winches is on the market asking $1.495 million.